As one of Uk's biggest japanese car shows. Everyone who attends will leave with a smile on there faces. This has to be a Calender Save for everyone. Take a look at the website below for more information. Please enter your names below and the car that you've chosen to take the blanket off to show your pride and joy. When I'm not cycling, I'm at a club meet ! Good idea mate. As Its unlikely we will do duxford I suspect. We will be up for this I am sure. I have added us. That's a good shout, go on I'll say yes. I might be in the Zed or I might be in the shopping cart, but in the meantime it will give me the incentive I need to get one with longer legs. Are you thinking of a club stand Matt? Or maybe join up on the end of another group? Well hopefully a good stand from us would be great but ive known 350z-uk be there a lot. Maybe a joint effort is a good idea . If were allowed to join them but aswell as advertising our club. If we do shows they don't. Some may join us. Always good to have anyone who wants to join us, but as you say they will likely organise themselves - so perhaps have our own stand. Could offer it out to ZClub though, they are really great guys and gals. I know ZClub go each year. I think we should go as a club and have our banners, etc. up but it would be nice to do that on the end of the ZClub stand perhaps? All the Zeds together would be a lovely sight! Okay well, as i know japfest gets rammed. So some sweet talking to zclub and japfest organisors to get us next to them. As soon as tickets are released, lets get numbers sorted by the end of Jan 31st. and a chance to make use of a brilliant venue for the club to be noticed is what we need. come on put your name down you'll be sorry if you miss this one., come and support your club spend the day with us. Better put me down as well. Will only be provisional for now as it's too far out. Dam !!!! It's my birthday on the 6th and i will be clubbing in London the night before .... so not sure i will be able to attend , i will let you know nearer the time if i decide on doing something different. You know it will be worth it. Come on do it! No night out clubbing can replace one day at Silverstone Japfest with nissansportz club and many more clubs to meet, a proper club day out lol. Just to re-view this for JAPFEST SILVERSTONE MAY 6th as its slipped down the board out of view. Shove my name in, along with the Z and should I add the exclusive Qashqai? Just popping over from the ZClub to say hello. 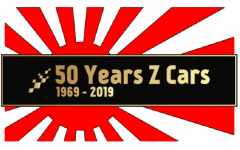 Having liaised with both clubs I've gone ahead and requested a joint club stand at Japfest this year so that we can have as many examples as possible all parked together, representing the marque. Hopefully this will become a more regular occurrence at the big shows to get as many of us together particularly with the big 50th anniversary not too far off now. You can now go ahead and book tickets, track time, souvenirs etc. For those considering track time I'd book asap to avoid disappointment. Instructions for booking are per below. Link below, our stand is called 'ZClub/nissansportz' (you can scroll straight to the bottom as its alphabetical). Then enter the password nissanz and you should get through to the ticket purchase section which you can follow from there. Edited by LESmo, 07 February 2018 - 02:28 PM. Thanks Matty Bacon for sorting out stuff on here.